The Water Walker by Joanne Robertson has just won the First Nation Communities READ Indigenous Literature Award - Children’s Category! Stolen Words by Melanie Florence and illustrated by Gabrielle Grimard has just won the 2018 Ruth and Sylvia Schwartz Children’s Book Award! For World Water Day 2018 we recognize the inspiring Indigenous women who protect water for us all. Across North America, Indigenous women have organized and participated in movements advocating for clean and protected water. Here are some of their stories. Autumn Peltier has advocated for water protection since she was eight years old. Now 13, she will be addressing the United Nations General Assembly on World Water Day. Inspired to speak about water issues by her aunt, Josephine Mandamin, Peltier spoke to Prime Minister Justin Trudeau when she met him at the Assembly of First Nations' annual winter gathering in December 2017. Peltier was nominated for the 2017 International Children's Peace Prize. She is Anishinaabe, from Wikwemikong First Nation on Manitoulin Island. Sharon Day is the Executive Director of the Indigenous Peoples Task Force, based in Minneapolis, Minnesota, and founder of Nibi Walk, an organization that coordinates Indigenous-led water walks in the United States to promote people's spiritual and physical relationship with water. Nibi Walk has a clear message: "We are not a protest. We are a prayer for the water." Sharon Day is Ojibwe, enrolled in the Bois Forte Band of Ojibwe in northern Minnesota. For the past 10 years, Elder Shirley Williams and her niece Elizabeth Osawamick have organized a group that hosts annual water walks held around Ontario's Kawartha region called Nibi Emosaawdamajig (Those Who Walk for the Water). In September 2017, they worked with the group Great Lakes Water Walk to organize a walk for hundreds of people along Toronto's waterfront, advocating for clean water. Shirley Williams is Midewiwin and a member of the Bird Clan from the Wikwemikong First Nation on Manitoulin Island. Elizabeth Osawamick is also Anishinaabe Midewiwin-kwe. In 1993, Winona LaDuke co-founded Honor the Earth, an initiative that helps to organize and finance Indigenous environmental movements. The group has re-granted over two million dollars to over 200 Indigenous communities for their environmental efforts. LaDuke has been active in fighting against oil pipelines, acting as a strong voice against the Dakota Access Pipeline at Standing Rock Indian Reservation in North Dakota that began in 2016. Winona LaDuke is Ojibwe and she lives and works on the White Earth reservation in northern Minnesota. Known as the "Water Walker" for traversing the perimeter of the Great Lakes, Anishnaabe Elder Josephine Mandamin co-founded the Mother Earth Water Walkers, a group that walks to raise awareness about water pollution. Since 2003, Mandamin has walked over 17,000 kilometers for the water walking movement, and has attended conferences to discuss issues about water quality. Josephine is from Wikwemikong First Nation on Manitoulin Island and now lives in Thunder Bay, Ontario. The Water Walker is a picture book that brings the story of Josephine Mandamin's water work to young readers aged 6–9. Joanne Robertson is herself a Water Walker, helping to support many walks through live GPS spotting to make sure the water, and the walkers, are safe on their journeys. Joanne lives near Sault Ste. Marie, Ontario. Announcing the Winners of Our 2018 Indigenous Writing and Illustration Contest! We're thrilled to announce two winning authors and one winning artist for our 2018 Indigenous Writing and Illustration Contest. Congratulations to the co-winners for writing: Jodie Callaghan and Michael Hutchinson, and the winner for illustration: Niki Watts! Niki Watts submitted a portfolio of beautiful illustration work done mainly in pencil, with a delicacy of line and realistic depiction of nature, animals, and people that immediately struck the jury. They liked that Watts noted in her bio that she believes that “art can be a catalyst for change and can be a voice for issues that need to be heard.” Juror Margie Wolfe was impressed by Watts’ ability, noting, “she has a great gift for drawing people, and particularly faces. It’s rare to find an artist who can capture such emotion. It’s something that is highly sought after for book illustration.” Second Story Press is looking forward to working with Niki Watts on a future book illustration project. The winning submissions were chosen by a jury comprised of Second Story Press publisher Margie Wolfe; writer Jan Bourdeau Waboose, who is First Nation Anishinaabe and the author of The Spirit Trackers; and writer, speaker, and consultant Monique Gray Smith, who is of Cree, Lakota, and Scottish ancestry and is the author of Speaking Our Truth: A Journey of Reconciliation. In December 2014, Second Story Press announced its inaugural Writing Contest to celebrate its 25th anniversary and to build on its already strong list of diverse children’s books. In the fall of 2017 the press, known for publishing independent, feminist-inspired books for adults and young readers, announced that it was once again looking for contemporary writing for a young reader audience that reflects the experience of Indigenous peoples written by an Indigenous writer. This time the contest included a new category for illustration, open to Indigenous artists. *The official name has JUST been changed (from Aboriginal Day) to Indigenous Peoples - the preferred term used by those communities, and a more accurate reflection of Indigenous Peoples in Canada as distinct, separate nations. Many have already been using this name for the day (and month). Indigenous Writing & Illustration Contest - Now open to submissions! Second Story Press is actively looking for Indigenous writers who want to see their stories for children published, and for Indigenous illustrators who would like to illustrate children's books. Find out more about our second Indigenous Writing and Illustration Contest, which is now open for entries. The winners of our 2015 writing contest can be found below. Stolen Words is included in the list of residential school books. The Mask That Sang (co-winner of the contest) and The Water Walker (a wonderful book we received via the contest) are in our list of other Indigenous-themed children's books published by Second Story Press. 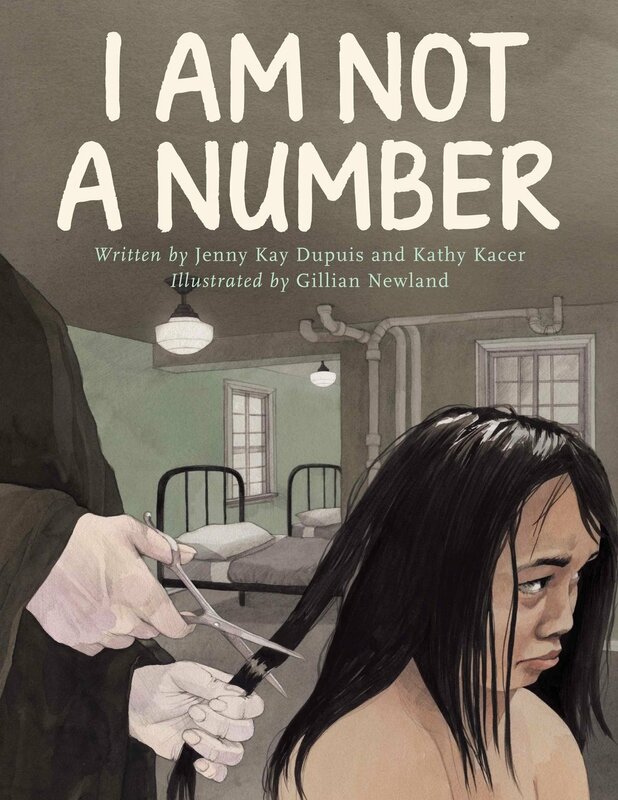 I Am Not a Number, by Jenny Kay Dupuis and Kathy Kacer, illustrated by Gillian Newland (Second Story Press) When eight-year-old Irene is removed from her First Nations family to live in a residential school she is confused, frightened, and terribly homesick. She tries to remember who she is and where she came from, despite the efforts of the nuns who are in charge at the school and who tell her that she is not to use her own name but instead use the number they have assigned to her. When she goes home for summer holidays, Irene's parents decide never to send her and her brothers away again. But where will they hide? And what will happen when her parents disobey the law? When We Were Alone, by David Alexander Robertson, illustrated by Julie Flett (Portage & Main Press) When a young girl helps tend to her grandmother’s garden, she begins to notice things about her grandmother that make her curious. Why does her grandmother have long braided hair and wear beautifully coloured clothing? Why does she speak another language and spend so much time with her family? As she asks her grandmother about these things, she is told about life in a residential school a long time ago, where everything was taken away. When We Were Alone is a story about a difficult time in history and, ultimately, a story of empowerment and strength. 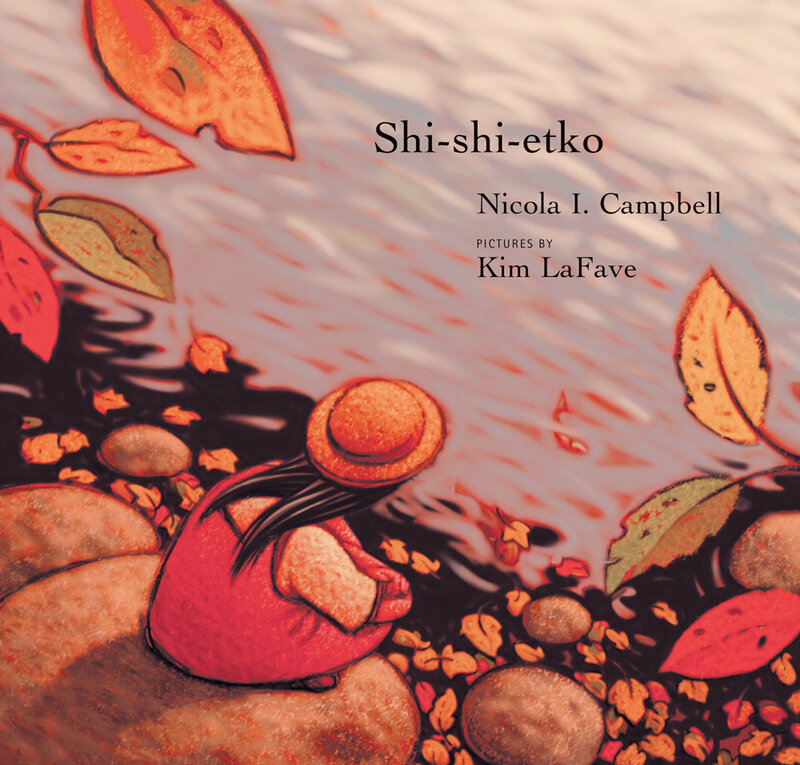 Shi-shi-etko and Shin-chi's Canoe, by Nicola I. Campbell, pictures by Kim Lafave (Groundwood Books) In just four days young Shi-shi-etko will have to leave her family and all that she knows to attend residential school. She spends her last days at home treasuring the beauty of her world — the dancing sunlight, the tall grass, each shiny rock, the tadpoles in the creek, her grandfather's paddle song. Her mother, father and grandmother, each in turn, share valuable teachings that they want her to remember. And so Shi-shi-etko carefully gathers her memories for safekeeping. 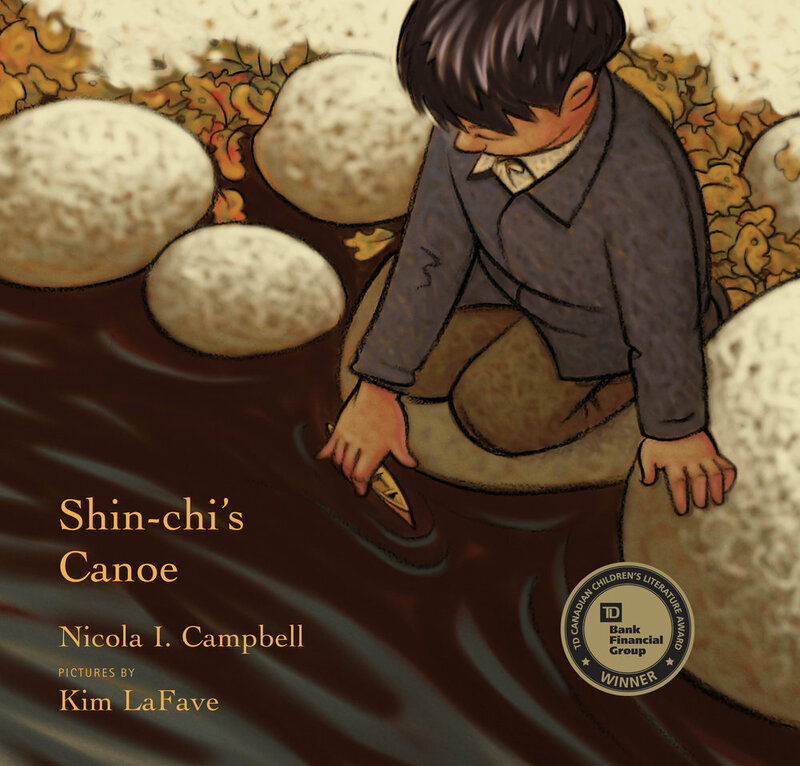 Shin-chi's Canoe is the moving sequel. Shi-shi-etko is about to return for her second year at residential school, but this time her six-year-old brother, Shin-chi, is going, too. Stolen Words, by Melanie Florence, illustrated by Gabrielle Grimard (Second Story Press) The story of the beautiful relationship between a little girl and her grandfather. When she asks her grandfather how to say something in his language – Cree – he admits that his language was stolen from him when he was a boy. The little girl then sets out to help her grandfather find his language again. This sensitive and warmly illustrated picture book explores the intergenerational impact of the residential school system that separated young Indigenous children from their families. The story recognizes the pain of those whose culture and language were taken from them, how that pain is passed down, and how healing can also be shared. Fatty Legs, by Christy Fenton-Jordan and Margaret Pokiak-Fento, illustrated by Liz Amini-Holmes (Annick Press) Eight-year-old Margaret Pokiak has set her sights on learning to read, even though it means leaving her village in the high Arctic. Faced with unceasing pressure, her father finally agrees to let her make the five-day journey to attend school, but he warns Margaret of the terrors of residential schools. At school Margaret soon encounters the Raven, a black-cloaked nun with a hooked nose and bony fingers that resemble claws. She immediately dislikes the strong-willed young Margaret. Intending to humiliate her, the heartless Raven gives gray stockings to all the girls — all except Margaret, who gets red ones. In an instant Margaret is the laughingstock of the entire school. In the face of such cruelty, Margaret refuses to be intimidated and bravely gets rid of the stockings. Although a sympathetic nun stands up for Margaret, in the end it is this brave young girl who gives the Raven a lesson in the power of human dignity. A Stranger at Home: A True Story, and Not My Girl, by Christy Fenton-Jordan and Margaret Pokiak-Fenton, illustrations (Not My Girl) by Gabrielle Grimard (Annick Press) Traveling to be reunited with her family in the arctic, 10-year-old Margaret Pokiak can hardly contain her excitement. It’s been two years since her parents delivered her to the school run by the dark-cloaked nuns and brothers. Coming ashore, Margaret spots her family, but her mother barely recognizes her, screaming, “Not my girl.” Margaret realizes she is now marked as an outsider. Margaret’s years at school have changed her. Now ten years old, she has forgotten her language and the skills to hunt and fish. She can’t even stomach her mother’s food. Her only comfort is in the books she learned to read at school. Gradually, Margaret relearns the words and ways of her people. With time, she earns her father’s trust enough to be given a dogsled of her own. As her family watches with pride, Margaret knows she has found her place once more. Not My Girl tells the same story as the memoir A Stranger at Home, adapted as a picture book to make it accessible to younger children. No Time to Say Goodbye, by Sylvia Olsen (Sono Nis Press) A fictional account of five children sent to aboriginal boarding school, based on the recollections of a number of Tsartlip First Nations people. These unforgettable children are taken by government agents from Tsartlip Day School to live at Kuper Island Residential School. The five are isolated on the small island and life becomes regimented by the strict school routine. They experience the pain of homesickness and confusion while trying to adjust to a world completely different from their own. Their lives are no longer organized by fishing, hunting and family, but by bells, line-ups and chores. In spite of the harsh realities of the residential school, the children find adventure in escape, challenge in competition, and camaraderie with their fellow students. My Name Is Seepeetza, by Shirley Sterling (Groundwood Books) At six years old, Seepeetza is taken from her happy family life on Joyaska Ranch to live as a boarder at the Kamloops Indian Residential School. Life at the school is not easy, but Seepeetza still manages to find some bright spots. Always, thoughts of home make her school life bearable. An honest, inside look at life in an Indian residential school in the 1950s, and how one indomitable young spirit survived it. “Mush-hole:” Memories of a residential school, by Maddie Harper (Sister Vision Press) Explains Maddie Harper’s years attending the Mohawk Institute Residential School in Brantford, Ontario. When she was seven years old Maddie was forced to attend the school until the age of fifteen. She writes with clarity and power as she describes her experiences. She includes a painful episode by physically and psychologically as she received a brutal disciplinary measure by a teacher at the school. Students from grades 6 and up will be moved by this brief 20-page illustrated memoir by activist Maddie Harper. As Long as the Rivers Flow, (Groundwood Books) and Goodbye Buffalo Bay (Theytus Book), by Larry Loyie with Constance Brissenden As Long as the Rivers Flow is the story of Larry Loyie's last summer before entering residential school. It is a time of learning and adventure. He cares for an abandoned baby owl and watches his grandmother make winter moccasins. He helps the family prepare for a hunting and gathering trip. In the sequel, Goodbye Buffalo Bay, Lawrence just has to make it through his final year of residential school and then he will never have to set foot in this horrible place again. But despite his best efforts to stay out of trouble, he finds himself in a few frightening predicaments. An escape attempt fails and a stolen gun misfires. Fortunately, his friendships and the tutelage of Sister Theresa help make his last school days bearable. When he returns home, Lawrence is not yet a man but no longer a boy. He struggles to find acceptance in a community that seems to have forgotten him. He tries a few different jobs and makes a name for himself as a hard worker. With increased confidence and the money he has saved up, he leaves Slave Lake to fulfill his dream of living in the mountains. They Called It Prairie Light: The Story of Chilocco Indian School, by K. Tsianina Lomawaima (University of Nebraska Press) Established in 1884 and operative for nearly a century, the Chilocco Indian School in Oklahoma was one of a series of off-reservation boarding schools intended to assimilate American Indian children into mainstream American life. Critics have characterized the schools as destroyers of Indian communities and cultures, but the reality that K. Tsianina Lomawaima discloses was much more complex. Lomawaima allows the Chilocco students to speak for themselves. In recollections juxtaposed against the official records of racist ideology and repressive practice, students from the 1920s and 1930s recall their loneliness and demoralization but also remember with pride the love and mutual support binding them together — the forging of new pan-Indian identities and reinforcement of old tribal ones.